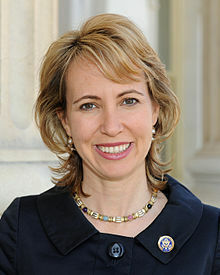 Remember Gabrielle Giffords, a.k.a “Gabby” Giffords? The highly personable, intelligent and likable “Blue Dog Democrat” and a U.S. congresswoman from Arizona? She was, of course, the victim of a January 2011 shooting – an assassination attempt that critically wounded her and left her in a near vegetative state. Since then she has undergone rehabilitative surgery and has regained some of her ability to walk, speak, read and write. She still needs assistance though for even the basic day-to-day activities and has resigned her seat in the U.S. House of Representatives. It was a high moment when she made a brief appearance at the Democratic National Convention last month, walking by herself with a little assistance by her good friend Amy Wasserman. The TV was on and I was watching, paying half attention, as I was simultaneously trying to finish “Atlas Shrugged” by Ayn Rand. The droning of the Convention must have caused me to doze off – after all we’d just had another staged week from the Republican side with fake, affected energy and scripted homilies. The flickering TV switched to Fox News channel and there in my reverie I saw Shaun Hannity. And – wait a minute! Surprise! He had the former Congresswoman “Gabby” Giffords on for an interview. Gabby Giffords: Glad to be here. Shaun Hannity: Now, look Congresswoman, let me ask you this: Are you better off today than 4 years ago? Gabby Giffords: Well, obviously not Shaun. I was almost fatally shot in the head 18 months ago and am in the process of recovery. Shaun Hannity: Isn’t it true that instead of being a healthy, athletic skier and a tennis player that you were 4 years ago you now need assistance in walking and have neurological impairments that keep you from concentrating, reading or writing for long? Are you satisfied with your state? 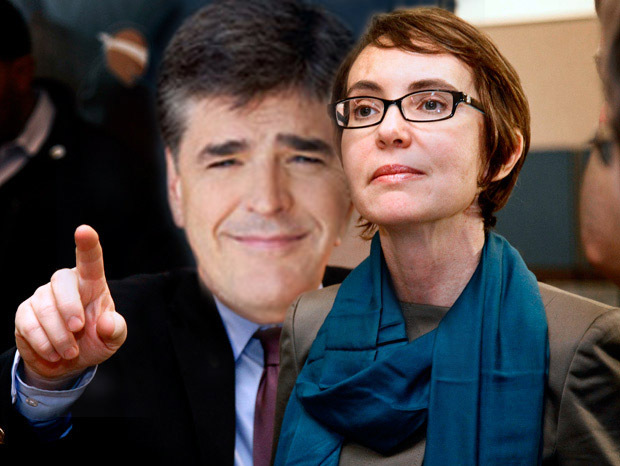 Gabby Giffords: Mr. Hannity, you are ignoring the fact that I was critically shot in this period. I am much better off than the horrible day on which I was wounded. Shaun Hannity: Mrs. Giffords, that was more than a year ago. Isn’t it time to stop blaming the gunman? Eighteen months of so called rehabilitation and you are still far from a complete recovery. Let’s call it straight – you have been failed by Obama’s socialized agenda. Gabby Giffords (a little taken aback): Er..what socialized agenda? Shaun Hannity: Socialized medicine, Collectivism, Suppression of Individual Freedoms, to name a few. Why, Mrs. Giffords, you have had Government healthcare haven’t you since your ..er .. injury? How do you like the Government bureaucrats between you and your doctor? Gabby Giffords: I am very happy with my doctor and the care I have received. I am recovering slowly but surely. Shaun Hannity: Be honest now. You are still broken, like Obama’s Economy. Without a job too. On permanent dependency of the Government like most of the supporters of your party. Gabby Giffords: I was almost fatally shot, Shaun. Shaun Hannity: You still keep blaming the gunman. Just like Obama who still keeps blaming the economy he inherited for his failed governance and a lousy recovery. Gabby Giffords: He inherited an economy that had undergone a $30 trillion mugging. Financial institutions were in collapse. Many companies like GM were close to bankruptcy. Credit had dried up and jobs were being lost at a rate of almost 1 million per month. The GDP was contracting at 9% per annum. Pension funds, endowments and personal savings were decimated and we were on the verge of a Depression not seen since the 1930’s. The Stock Market plunged losing more than half its market value. I’d say it was comparable to the shock I received from the gunman. Shaun Hannity: Mrs. Giffords. You liberals must understand that our country was not built on whining and blaming others. You must own up to your own responsibilities. And, next time, carry a concealed gun. No kook would dare shoot you if you were armed and remembered your responsibility for self reliance. Mrs. Giffords, have you read Ayn Rand??? I woke up with a start from my bad dream – or was it just another day at the office for Fox News? This entry was posted in Current Events, Healthcare, Money, Politics. Bookmark the permalink. 6 Responses to Are You Better Off … ? I don’t know if I should be grossed out with laughter or pain. This is so so so true! Hope it hurts the ‘blind’ that shalt not see! Great going Ashok. Wow! Wonderful! I enjoyed it. Sometimes dreams are more true than reality!